From now on, save up to 45% discount off! 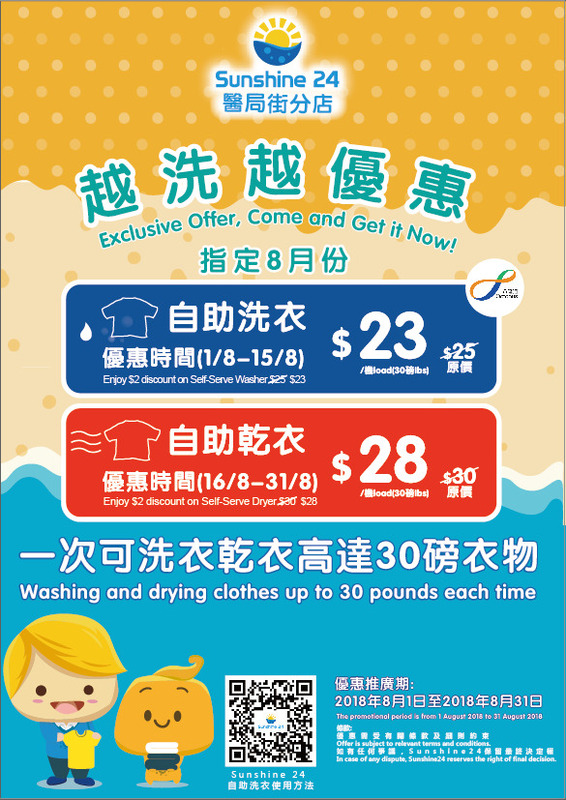 Exclusive August Offer $30 for laundry and drying during the entire month of August in Kwun Chung Street, Ting Yip Street and Kowloon City Road Branches! The Yee Kuk Street Branch will be launched the ''Exclusive August Offer'' throughout the entire month of August! 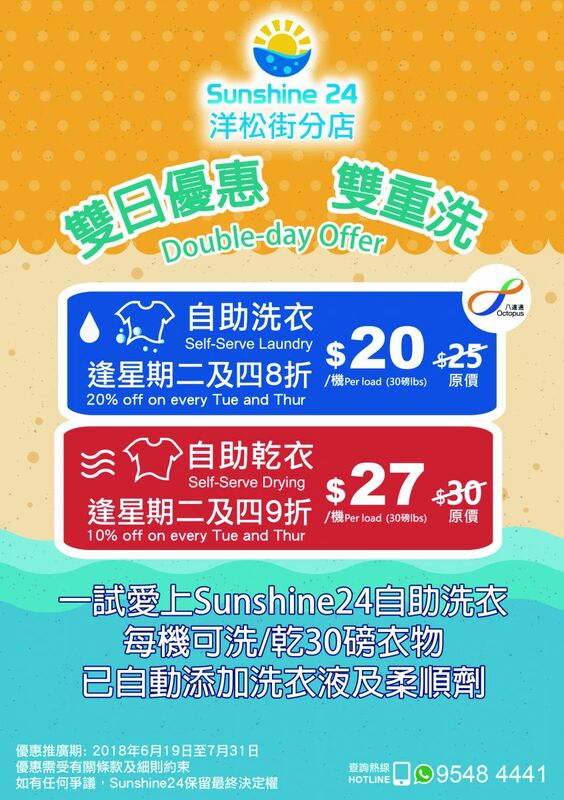 Exclusive August Offer $23 for laundry during the period of 1 August 2018 until 15 August 2018 and $28 for drying during the period of 16 August 2018 until 31 August 2018 ! Come and get it now!